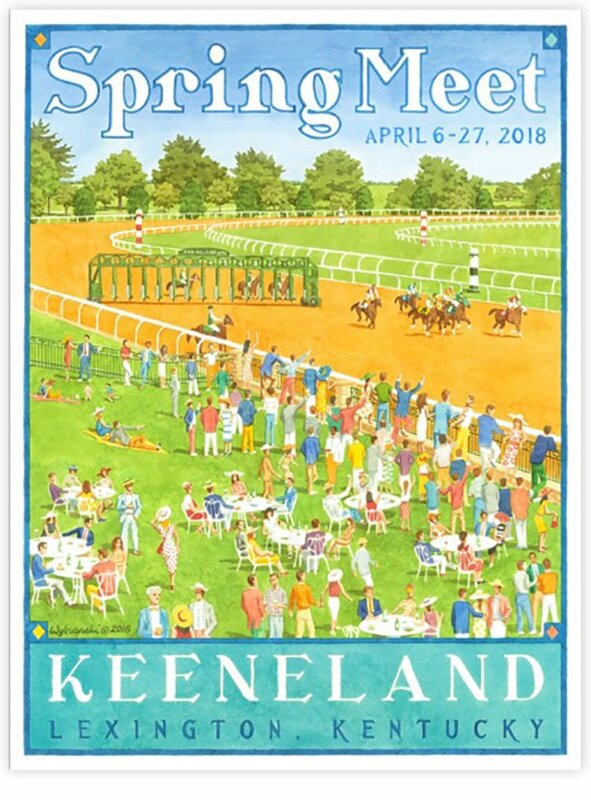 Presenting Lee’s first official poster in the world of thoroughbred horse racing where Lee captures Keeneland’s Spring Meet culture and atmosphere. Established in 1936 by Jack Keene, Keeneland has been voted the #1 track in the country by Horseplayers Association of North American and is designated as a National Historic Landmark. Presenting Lee’s first official poster in the world of thoroughbred horse racing where Lee captures Keeneland’s Spring Meet culture and atmosphere. Established in 1936 by Jack Keene, Keeneland has been voted the #1 track in the country by Horseplayers Association of North America and is designated as a National Historic Landmark.